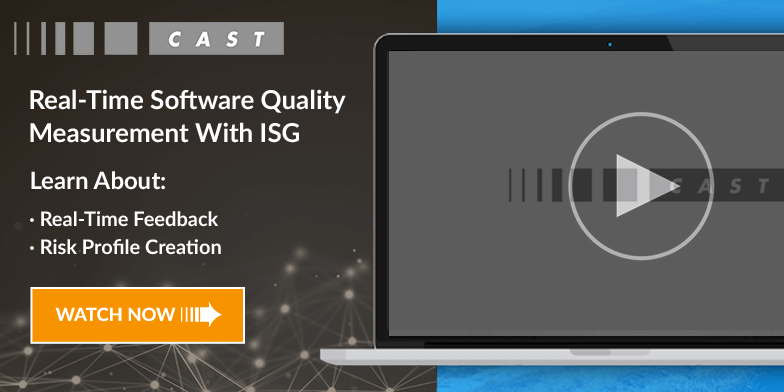 CAST delivers this by providing insight into the applications that your vendors are building and supporting. These insights include understanding the robustness, performance, and transferability of the applications, their technical debt, defect density, and other metrics that help you better work with your vendors. Learn more about how we provide this insight through our Application Analytics Dashboard (AAD). Watch Barbara Beech, a telecom IT vendor management veteran, describe how she managed supplier relationships with CAST.